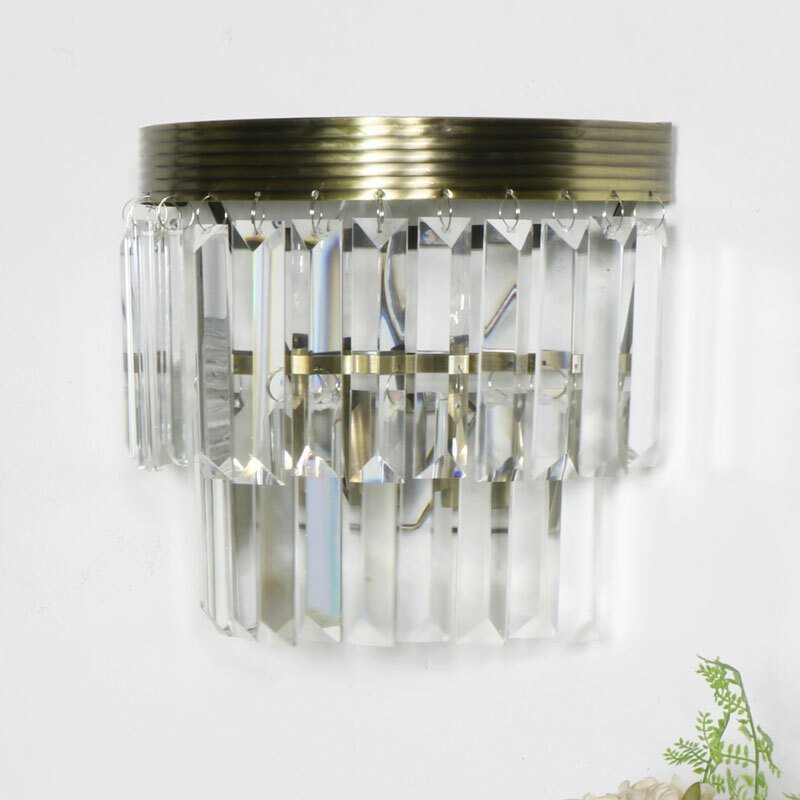 Add some stylish lighting to your home with this beaded wall light. In a classic, timeless design, the wall light features glass beads that will reflect the light to create an elegant effect. With 2 tiers of rectangle glass beads that dangle from a curved antique brass frame. Perfect lighting for the living room and hallway. Cut glass beads that will refract the light and create a stunning lighting effect. Add some stylish lighting to your home with this beaded wall light. 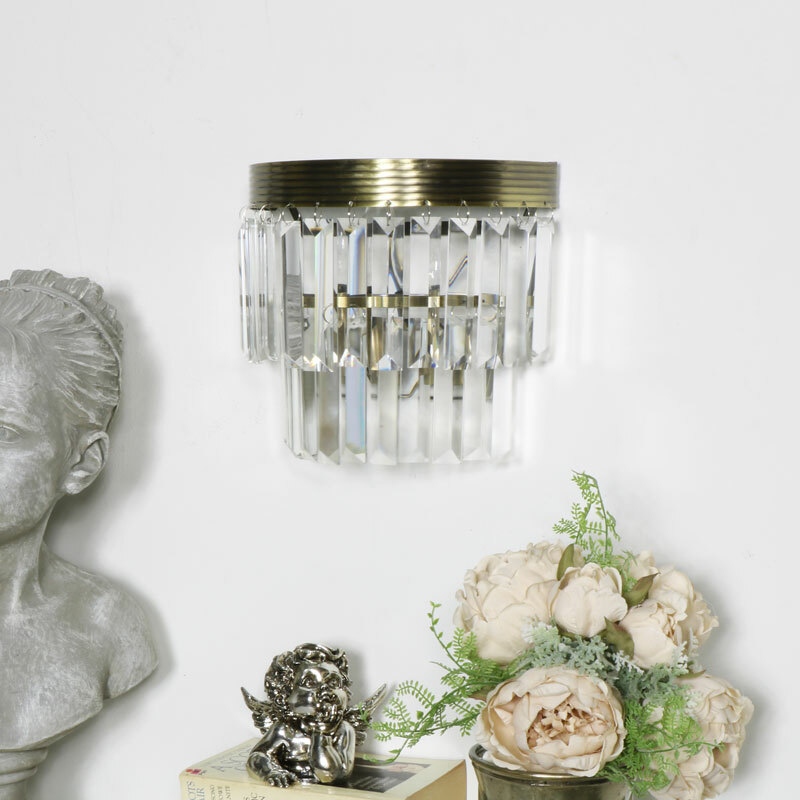 In a classic, timeless design, the wall light features glass beads that will reflect the light to create an elegant effect. With 2 tiers of rectangle glass beads that dangle from a curved antique brass frame. Perfect lighting for the living room and hallway. Cut glass beads that will refract the light and create a stunning lighting effect. Constructed with a metal frame in an antiqued brass finish with clear glass beads. Fitting instructions are included in the box. We have a great selection of lighting for your home, ceiling and wall lights to table and floor standing lights in a great choice of styles.